1.Clean and wash the rice. Soak the rice for 15 mins. 2. Roast the moon dal till it turns light brown. 3. Wash the roasted dal after the dal cools down. 4. Pressure cook the rice and dal with 4 cups of water for 12 min. 5. 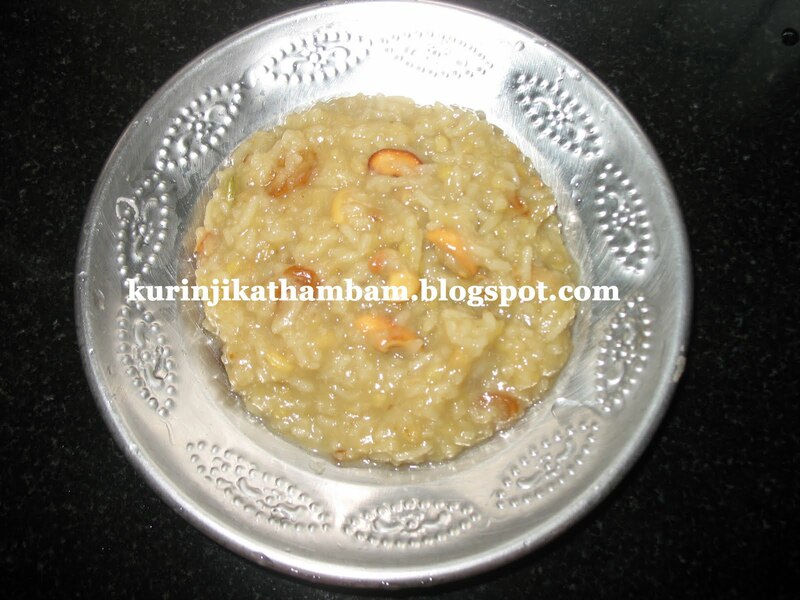 Keep jaggery in a medium pan, add ½ cup of water and boil. 6. When it melts, strain the jaggery to remove the dirt. 7. Heat the Syrup once more and stir till it becomes thick. 8. 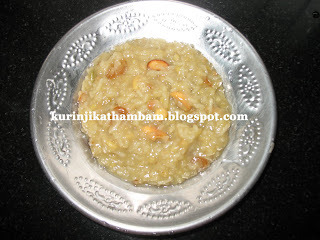 Add the Syrup with cooked rice and dal. Serve hot with loved ones.